Green pitted olives, kalamon pitted olives, sunflower oil, vinegar, salt, herbs. 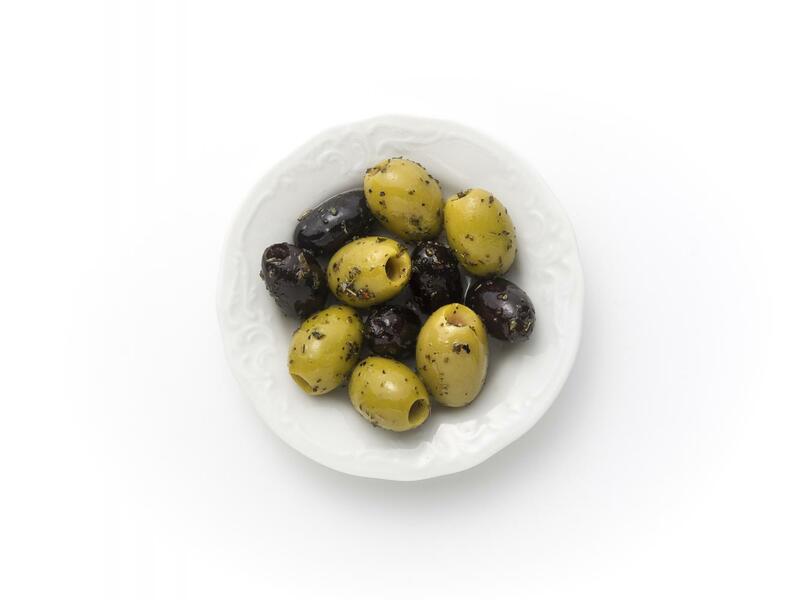 Typical of green and kalamon olives with a hint of different herbs. Green to yellow and brown-purple to black.